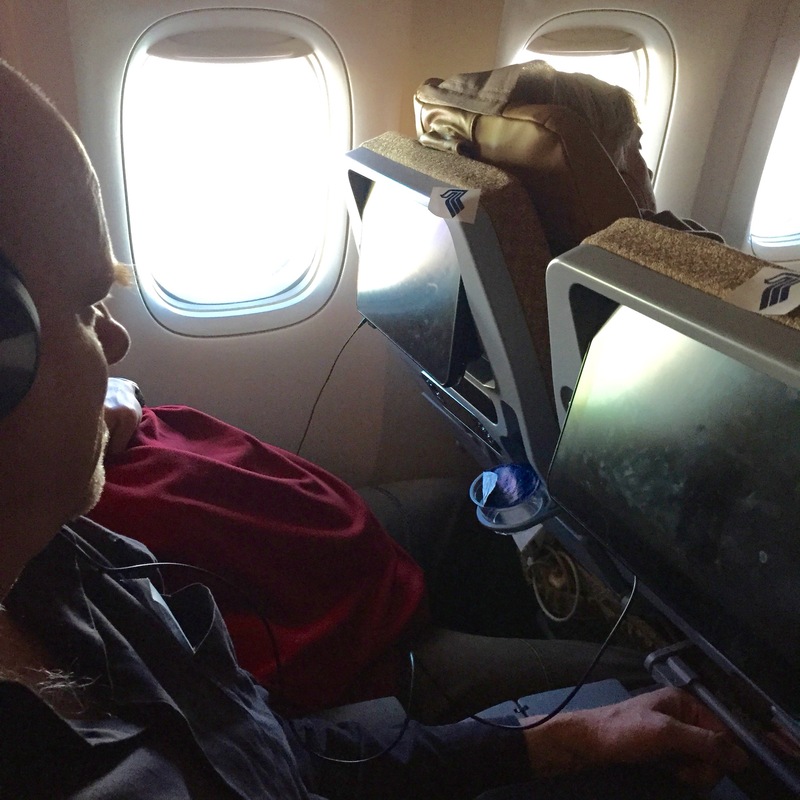 I’ve just woken from a fitful doze, 34,000 feet above the Caspian Sea. Not that it is visible as we hurtle through an orange-pink upper altitude cloud carpet at 578 mph, but it’s down there somewhere below the crumpled sheets of puffy stuff. That is what the animated map tells me, anyway. What a clever little screen that is, the one on the back of the seat in front. TV shows, pretend radio stations, over a hundred films; video games, trivia competitions… and I’ve used none of it. 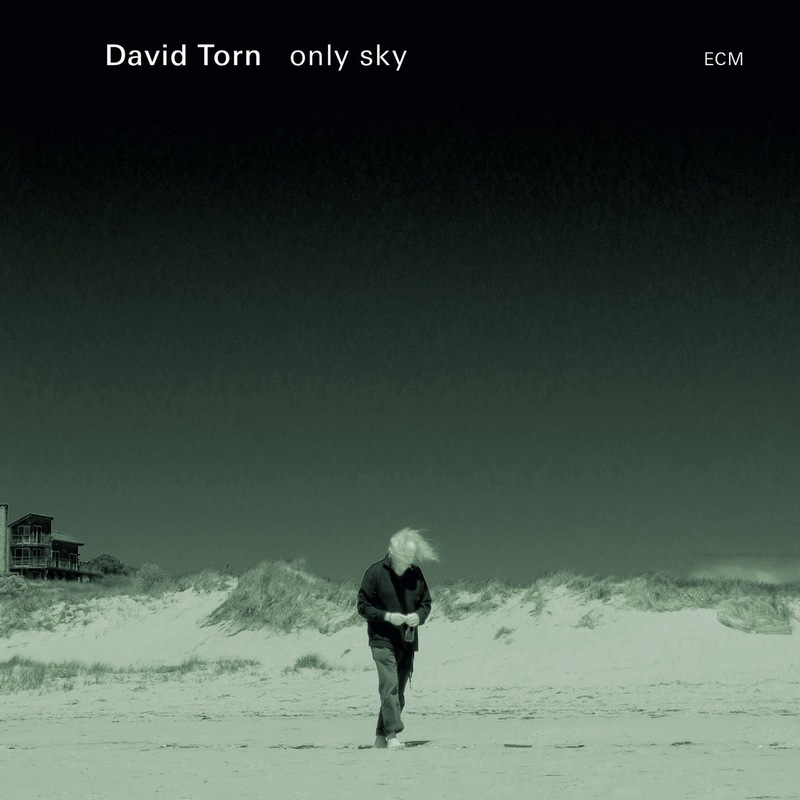 Except this: the new David Torn album Only Sky is featured in the Jazz section. 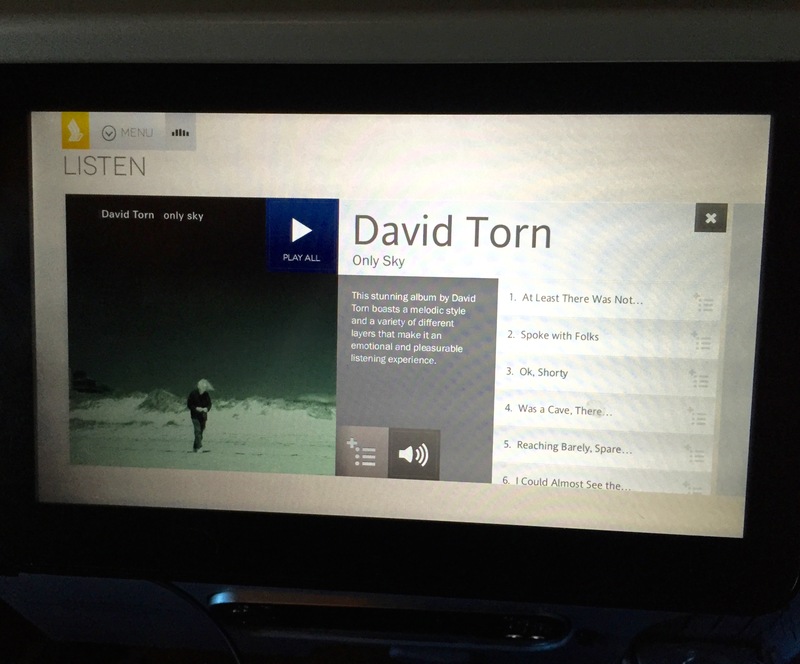 Has there ever been a better album title for ‘in flight’ entertainment? How could I not listen? Especially as just last week I was enjoying Polytown, the 1994 album by Torn, Mick Karn and Terry Bozio. So out come the noise-cancelling headphones —ceaseless roar to persistent rumble for forty dollars, thank you Aldi— and plug meself in. For those unfamiliar with the New York based guitarist, Torn has delivered his astringent chops to a clutch of famous chaps including David Bowie, Don Cherry and, er, Madonna. Here, applying his instrument’s whammy bar and making extensive use of a loop pedal, Torn steps out into his own space, solo and alone. Opening piece “At least there was nothing” creeps forward just like a sky blown dawn; hesitant, hopeful. Slow sustained notes like rays of sound arc through the ether; low sighs and piercing cries. So little air but so much atmosphere. After almost six minutes a surprising new voice enters —is that an electric oud?— drifting into the piece from another place, another time. Then it has gone and the eight minute opening is over. “Spoke with folks” sounds just like you would expect, a wistful folky slice of melody full of quiet rivers and fishing poles laying unregarded in a midday torpor. Yet this roots-infused piece, evocative of Daniel Lanois, paints the backwoods scene rather than actually inhabits it. Like a remembered summer in a half-forgotten land, unsettled by a few agitated images. The next piece flows downstream beautifully. “OK, Shorty” has another spacious melody presented simply with lots of reverb and discreet noise-breath. After two long pieces, “Shorty”’s brief three minutes provide a welcome note of concision. Noise steps forward in no uncertain terms in “Was a cave, there…”. Again, huge hollows for the distortions to explore on this massive twelve minute canvas that seems to expand the further you venture in. It is not entirely comforting to gaze out into the very early, very empty sky with this piece as soundtrack. There’s an ominous repetition, an almost Hitchcockian build-up of tension. Is that a mechanical space-falcon attacking off the port wing? Or just the sun glinting on another aeroplane tracking its stratospheric path to who-knows-where? Two words intersect: experimental and unsettling. The cloudscape has changed; handfuls of pink-topped bath foam make a cheery high altitude carpet. I want to jump out and play dodgem on a rainbow-powered cumulo-scooter. “Reaching barely, sparely fraught” has a persistent low pulse —the closest thing to rhythm so far— while over the top drifts a beautiful melody. But not pink fluffy pretty, more ice-shard needle-beautiful. Another long eight minute excursion, this one oscillates along a noise—melody trajectory full of the same grandeur and mystery I see out the porthole. I’m loving this album. So spacious yet at a molecular level, so dense. “I could almost see the room” creeps forward then lashes out with swipes of industrial thrum. Coming after 38 minutes flying Torn’s sky, another exploratory thirteen minute piece was almost too much, especially one that could soundtrack “Revenge of the Psychotic Cyborgs” or “Angst in Space”. Or maybe, after 38 hours awake, I’m a tad impressionable. No. This is a singularly scary dystopian chunk of fucked-up experimentalism. Seventh track is “Only sky”. I wonder if the title is a Lennon reference or if David Torn wrote this while cruising the stratosphere like your correspondent. We’re passing over Constantinople just now. 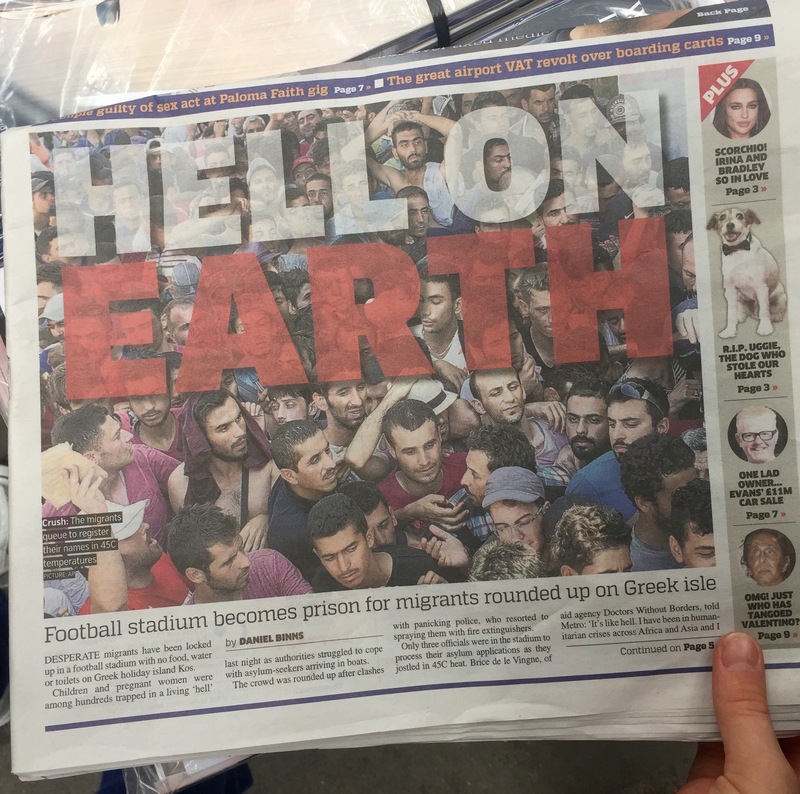 I think of troubles in Turkey and Greece, the overwhelming waves of refugees exploding towards Western Europe. It’s hard not to imagine a hell below us. But Torn’s title track leaves dystopia a bruised memory as the guitar —always echoing into space— layers melody on wisps of silence. This is a solo album that aches with yearning, screams for solace, weeps with resignation. It is stark and sensitive, terrifying and tremulous. There are two further pieces; the eastern tinged “So much what” and mischievous, quirky closer “A goddamned specific unbalance”, but we’re approaching Budapest and breakfast so it is time to wrap up the air miles. I’ve listened to Only Sky three-and-a-half times in the past twenty hours and I find myself thinking of the title of the Dave Eggers novel that lies unopened in the bag at my feet. Could Only Sky be A Heartbreaking Work of Staggering Genius? Perhaps; it is certainly a singular statement. But I’d need to hear it with my feet on the ground before deciding. This video of the first concert of his 2015 tour in support of Only Sky was posted on youtube by the artist. Thanks VC: Excellent review. We are at the airport now … is a pity that Virgin ex Newcastle won’t offer anything musical (let alone Torn) for our return to Melbourne. Hope you all enjoy the UK. Balance is restored: IASW, BiBr l & BiBr ll via the ‘loud speaker’ of my phone as I walked through the bush today. I particularly enjoyed it when Wm fell into lock-step as we approached the car listening to ‘Sanctuary’. Oh. I was reading along thinking this one sounds very intriguing. “This is a singularly scary dystopian chunk of fucked-up experimentalism”. That track sold it. Must investigate! … enjoy your trip, sir. Thanks James. The clip gives an approximate idea of what it sounds like. Album production is, as with all ECM releases, exemplary. Love the review! The album captures well the vibe and presence of DT’s live approach to “Only Sky.” A must have to be sure! Thanks very much Brian. Would love to hear him present this music live. Where/when did you see him? Great review, Mr VC. As you know, I’m a fan, and I suspect the solo format may be the ideal way to go for Torn. I look forward to getting ‘Only Sky’. Since writing my review of ‘Cloud About Mercury’, I’ve also been revisiting Mick Karn’s ‘Bestial Cluster’ again which features some fine Torn, have you heard? A Torn/Karn/Jansen/Barbieri show I saw at the London Jazz Cafe in the early ’90s remains one of my favourite gigs ever. Thanks Matt. You know, I think I once had ‘Bestial Cluster’ but disgarded it. Odd these purges, in retrospect. Should just buy a bigger house, really. Seeing that band live would’ve been a blast!